Don't let snow on the ground scare you off from looking stylish. The Bogs Women's Bobby Mid Boot combines elegant looks with winter worthy construction to help you get through winter in style. 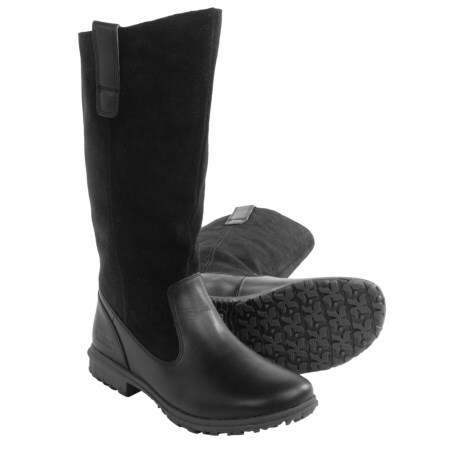 It features a waterproof leather and suede upper with sealed seams to keep moisture out without sacrificing good looks. The Max Wick lining pulls heat robbing sweat away from your skin to help your feet stay warm, while the OrthoLite footbed cushions your step. The slip resistant gum rubber outsole helps you maintain your footing on icy surfaces, and a DuraFresh antimicrobial treatment keeps odor at bay. Your browser isn't supported for displaying eBay items. 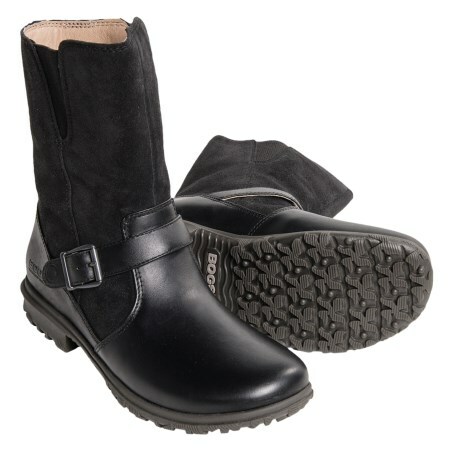 Go to eBay to search for Bogs Bobby Mid Boot Womens.